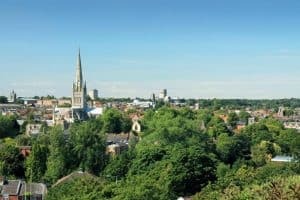 Norwich may have once had a reputation for being something of a quaint, sleepy and colloquial backwater, but that worn-out stereotype couldn’t be further from the truth today. In fact, as recent surveys and high-profile news articles will confirm, Norwich is one of the most popular places to live, study, work and do business in the UK. And let’s not forget the beaches and beautiful countryside, Norwich has a booming tourist economy, to say the least. With a growing population and vibrant and welcoming attitude to business and a healthy community spirit, Norwich has a lot to offer startups and growing businesses. As the capital of Norfolk, the question should be: why wouldn’t you set up business here? The transport links in Norwich are excellent. An international airport, a large and well-connected railway station, a dual carriageway all the way to Cambridge and the M11 are just some of the reasons why Norwich is very well situated, logistically speaking. Many parts of the city centre are pedestrianised, making it ideal for shoppers. Much of the city centre road network is a one-way system, and there are plenty of car parks spread across the city. There are also plenty of Park & Ride schemes in operation too. The city is also served by a fast and frequent bus service and cycle lanes are dotted around as well. Whatever form of transport your customers prefer, you can be sure Norwich is accessible for them. When your business venture is getting underway you need as much help, support and advice that you can get. While many professional services cater to this need, there are also a number of start-up groups and enterprises that are specifically there to help you land on your feet and succeed. NWES – can provide bursaries, loans and advice as well as a managed workspace in Norwich and across the country. The Federation of Small Businesses (FSB) – Able to offer expert advice in order to help small businesses achieve their goals. New Anglia Growth Hub – Offering invaluable advice and support for start-ups. Business Library – Located in the forum, a dedicated floor for business giving you access to directories, market research, company information, company law etc. The Institute of Directors (IoD) – Equips business owners with a range of resources necessary for success. SyncNorwich – A tech and start-up community that offers monthly meetings and events to bring developers and business people together. Norfolk Network – A fantastic group allowing businesses to share knowledge and support each other. Norfolk Chamber of Commerce – Norfolk’s largest business network offering advice, support and training opportunities. There are plenty of business networking opportunities in Norwich to take advantage of too. The more people you can meet, the more people will find out about you and what you have to offer. Norwich is home to more than 8,000 business and employs more than 123,000 people. The city itself is one of the largest centres of employment in greater south-east England. Norwich contributes more than £3 billion a year to the national economy. Norwich is also one of the fastest growing cities in the UK, housing a higher than average prime working-age population (18-49). The demand to live in the area is increasing and the household density is rising, especially in the surrounding towns and villages. Norwich is also home to two universities, the University of East Anglia, a highly regarded university amongst students and employers alike, and the Norwich University of the Arts. Businesses will have the opportunity to retain promising talent from top universities – giving them the option to host graduate trainee schemes and fast-track to management. The amalgamation of all these points ultimately means that Norwich provides an economic climate that is conducive to both business and career success. What Businesses Are In Norwich Already? Approximately half of Norwich’s employment stems from large, multinational companies – the largest being Aviva. 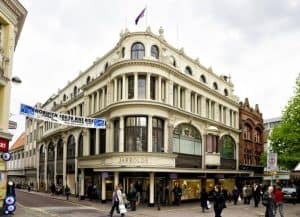 There are also offices for Marsh (insurance) and retail shops from Apple (technology), Hugo Boss (fashion) and one of Norwich’s biggest retail attractions, Jarrolds, which is a family run department store that has been in the city since 1770. The centre of Norwich is an eclectic mix of shops, cafés, offices and restaurants, including some high-profile chains such as Bella Italia, Wagamamas etc. As you move towards the train station there is a collection of accountancy firms, consultants, financial advisers and marketing agencies. 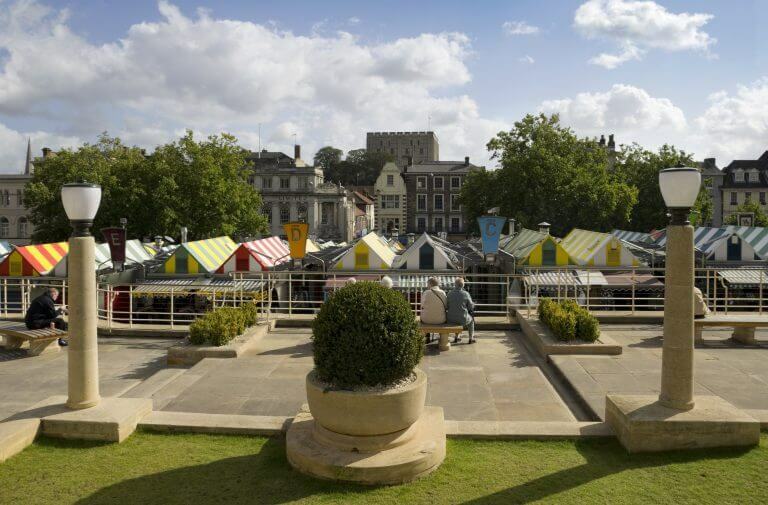 Some of the city’s most iconic shopping destinations are Castle Mall, Chapelfield and 900+-year-old Norwich market. Rental Costs – Rental costs of premises and offices in Norfolk are around 45-55% less expensive than Cambridge, and industrial rents are 60-70% less. Turnover – 14% of companies in Norwich (1 in 7) report annual turnover in excess of £1 million, which is significantly higher than the national average of 10.2%. Survival Rate – New businesses have a better than average survival rate in Norwich. When you consider these statistics and their implications, it’s clear that they paint a rosy picture of the future of Norwich. In nearly all aspects, Norwich is heading in the right direction to cultivate a truly stimulating business environment. Once you have your idea you may be looking to find the money to get it started, or you may already have a few customers and you want to branch out – Norwich is host to a number of opportunities where you can access grants and funding to help make your dream a reality. The one factor you will always be able to count on is the community spirit in Norwich. 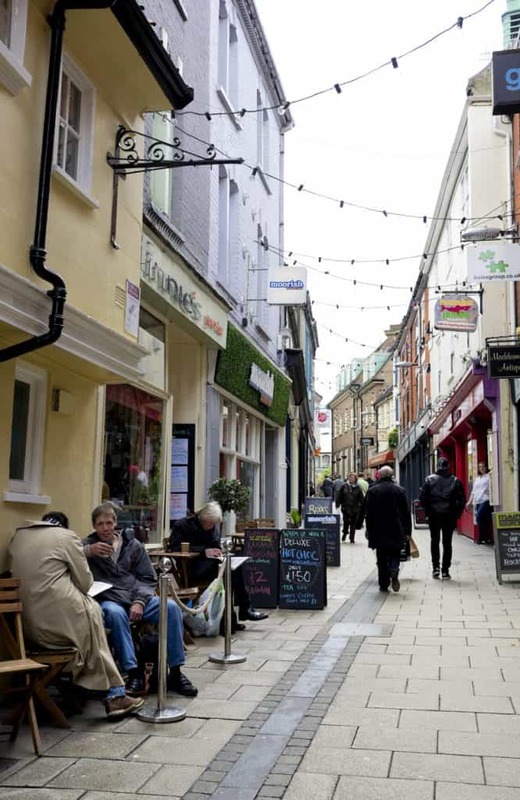 Take the ‘Norwich Lanes‘ for example, they are a collection of small high street shops that are tucked away from the trodden path of Chapelfield and St. Stephens. They’ve managed to collaboratively campaign for, and win the Great British High Street award. You’ll always be able to connect with your target audience in Norwich, whether that be through open discussions of the area, the market, the football club or the various music and arts scenes across the city. 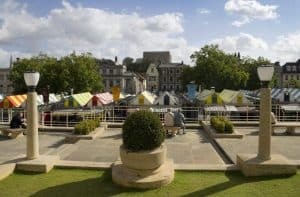 The residents of Norwich are clued up on the area and any new business that ingratiates itself within the community will most likely be there to stay. Here are just a few of the local brands which have gone “national” – sound familiar? Aviva – A multinational insurance company with over 33 million customers across 16 different countries! Colman’s – Manufacturer of one of the UK’s favourite condiments, Colman’s mustard! Macarons and More – Home of the hugely popular, award-winning French-style Macaroons! Lotus – Manufacturer of world-renowned sports and racing cars! Epos Now – A market leader in point-of-sale (POS) systems, particularly cloud-based systems! Lisa Angel – An ever-growing online retailer of jewellery, accessories & gifts! Naked Wines – A customer-funded wine business, selling some truly great wines produced by independent winemakers! Kettle Chips – A brand that is now commonplace in many shops and supermarkets, well-known for manufacturing quality crisps! Gnaw Chocolate – Producers of fine quality chocolate, delighting the taste buds of people from all corners of the country! Jarrold – Iconic Norwich department store, first founded in 1770! The Book Hive – A small, independent bookshop popular with many book lovers, including Stephen Fry! Frank’s Bar – A cafe bar offering a unique experience for locals and tourists alike! Stranger’s Coffee – A speciality coffee shop based in the Norwich Lanes that has been tantalizing Norwich with its delectable coffee since its inception in 2009! The Bear Shop– A charming little shop in Elm Hill offering a wide selection of hand-made and designer Teddy Bears! If you want to see the top 100 hundred businesses in Norwich, have a peek at the EDP’s list here. If you’re thinking about setting up a business in Norwich, please get in touch with our local Norwich office. We offer free business advice every month and can help you set things up properly from the start. I found the information useful. Thank you.